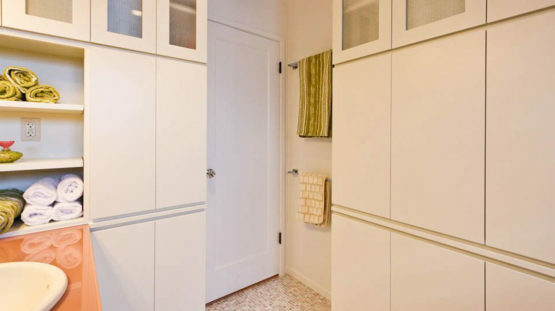 The owners of this Piedmont bathroom had waited a long time to remodel their bathroom—something that often happens in the area’s older homes. They needed more storage, so this became a priority. There were also some structural issues and dry rot which had to be repaired, and the original bathroom had been cramped and dark. 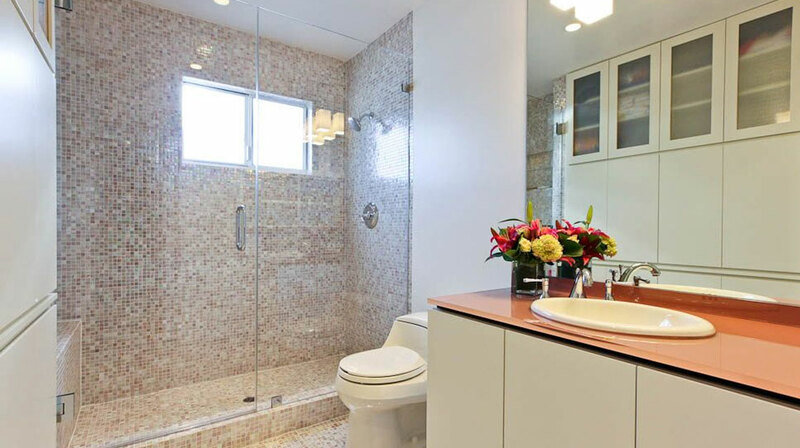 This remodeled bathroom is notable for its customized, built-in, floor-to-ceiling cabinets that provide a significant amount of storage. The soft, earth-toned color palette is accented by the burnt-orange color of the countertop, which is a three-quarter inch piece of glass with the color sprayed on the bottom. 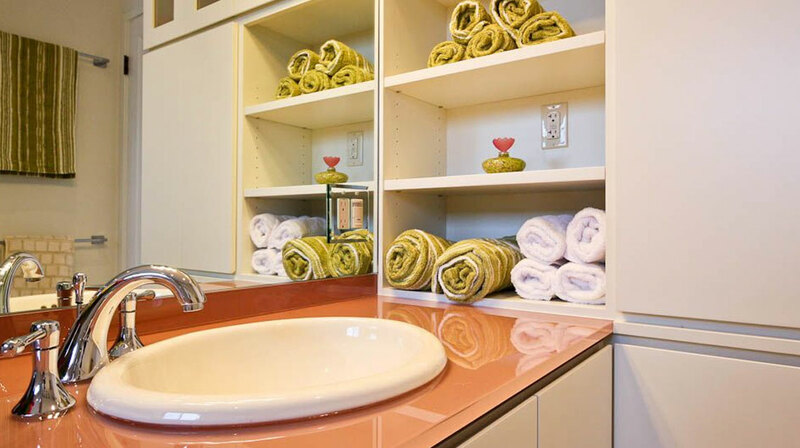 Custom-made LED lights brighten the room, and the specially made mirror helps give the illusion of a larger space. The glass tiles of the large shower stall are flush with the drywall to create a smooth, unbroken effect. W.A. Rose Construction collaborated with Caitlin Lempres Brostrom, of First Bay Architecture, on this bathroom remodel.